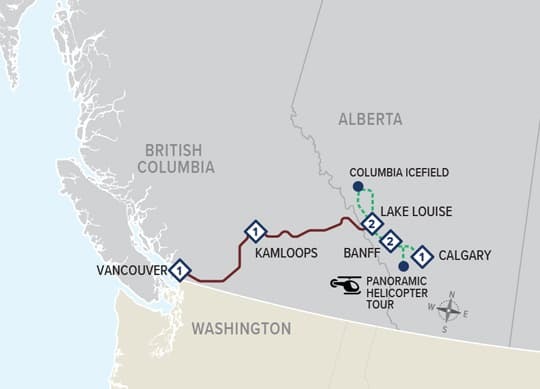 This vacation begins with an overnight stay in Vancouver or Calgary on Sundays and Thursdays between April 14 and October 10, 2019. In 2019 this journey is renamed to the First Passage to the West at Leisure. 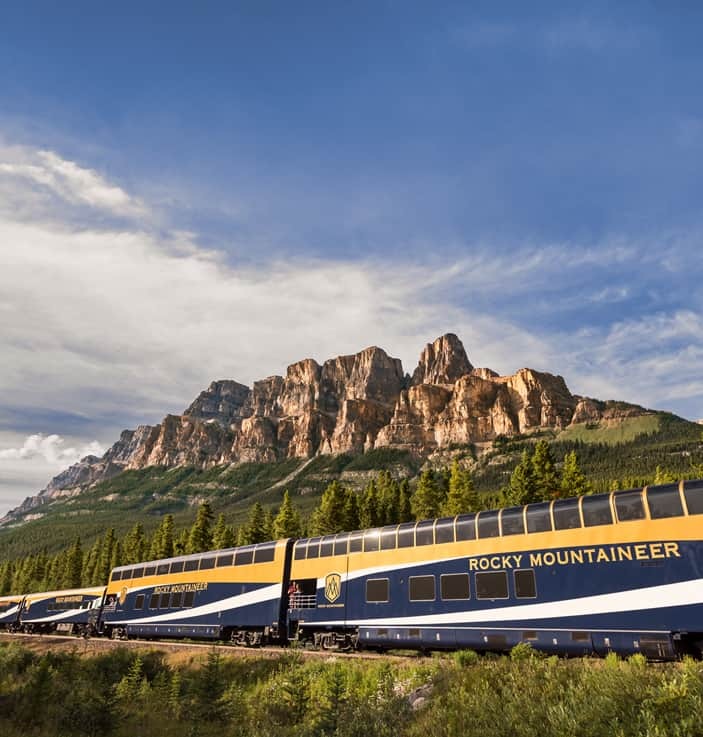 In 2017 this package was called the Canadian Rockies Adventures.